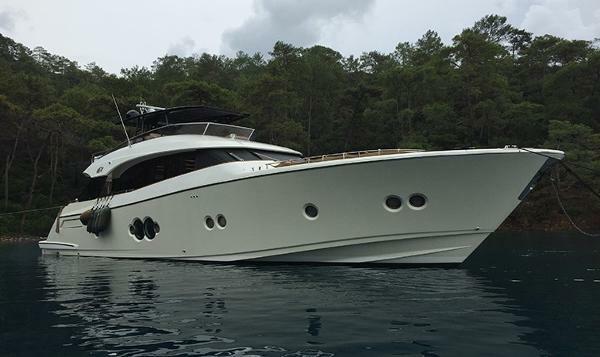 2013 MONTE CARLO 76 - Niyana Yachts !!! HUGE PRICE REDUCTION !!! 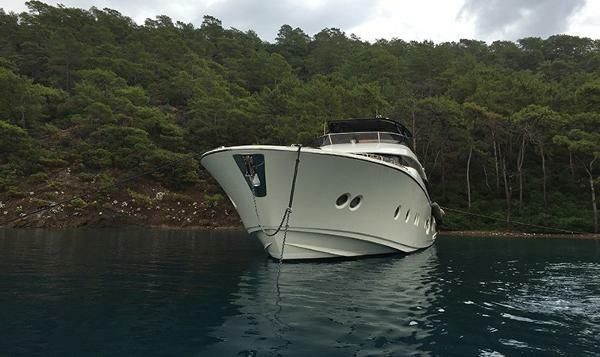 $ 2.150.000 ⇒ € 1.700.000 BEIGE HULL EXCELLENT CONDITION 2 x 1200 MAN ENGINES 4 CABINS + 2 Crew RAYMARINE ELECTRONICS/NAVIGATION 2 X 20 kW KOHLER GENERATOR AIR CONDITIONING WATERMAKER BOW THRUSTER STERN THRUSTER 3,85 WILLIAMS JETBOAT 4000 L FUEL , 1000 L FRESH WATER, 2 x 350 HOLDING 24 kn CRUISING SPEED 31 kn MAX SPEED Please Contact Us for More Information.